Dubai Miracle Garden, the world’s largest natural flower garden, is all set to delight visitors when it reopens on November 27, 2016. 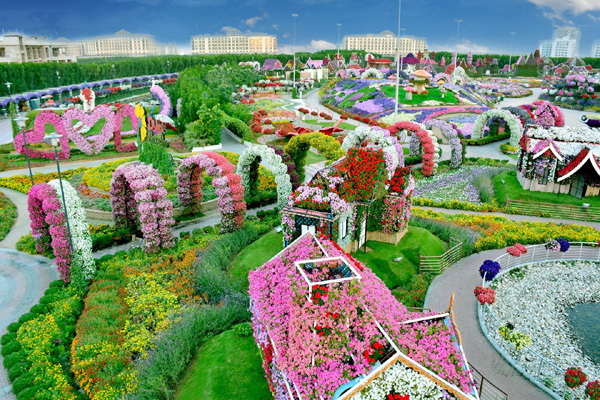 Located in Al Barsha South, Miracle Garden - which attracted more than 1.5 million guests last year - will display its breathtaking array of 60 million flowers in addition to unveiling a dramatic new floral display in association with Emirates Airline. This year, Miracle Gardens will also have another new exhibit called “Lost Paradise” which is a underground floral cascade with a depth of 20 feet. There will also be more than 20 food and beverage vendors to choose from for visitors to enjoy a great meal with beautiful views.